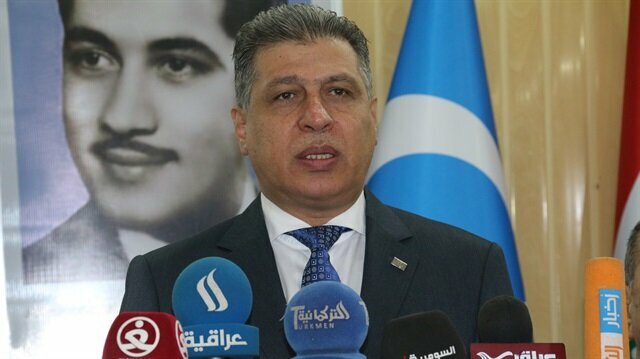 “We are aware of the plots being hatched in the region and -- as always -- stand with Turkey,” the leader of the Iraqi Turkmen Front (ITF) said Thursday. Speaking to Anadolu Agency, Arshad Salihi said Turkey was being targeted by “certain countries”, referring to the recent speculative attack on the Turkish economy. “But they will fail to achieve their objectives,” he added. According to Salihi, the region’s Turkmen “wholly support” the Turkish state, economy and currency. “We will always stand by Turkey, despite the many plots now being hatched against it,” he said. Salihi went on to recount how an elderly woman from the Iraqi city of Kirkuk -- who had received life-saving kidney treatment at a Turkish hospital -- had recently called him. “An attack on Turkey is an attack on all of the region’s Turkmen,” he added. “The impulse to protect the Turkish homeland is in our blood,” he asserted, hailing Turkey’s resistance to foreign financial manipulation. Turkey-U.S. relations took a nosedive on Aug. 1, when Washington imposed sanctions on Turkey’s interior and justice ministers after Ankara refused to release an American pastor who faces terrorism-related charges in Turkey. Last week, U.S. President Donald Trump upped the ante by doubling U.S. tariffs on Turkish aluminum and steel imports. In response, Turkey raised tariffs on several U.S.-made goods, including alcohol and tobacco products and vehicles.